Each country bears their own dressing styles that have been inherited by the ancient people who followed the specific country cultures and dressed accordingly. An Indian Saree contains a blouse and 5 to 9 yards of cloth that is draped into a Saree. 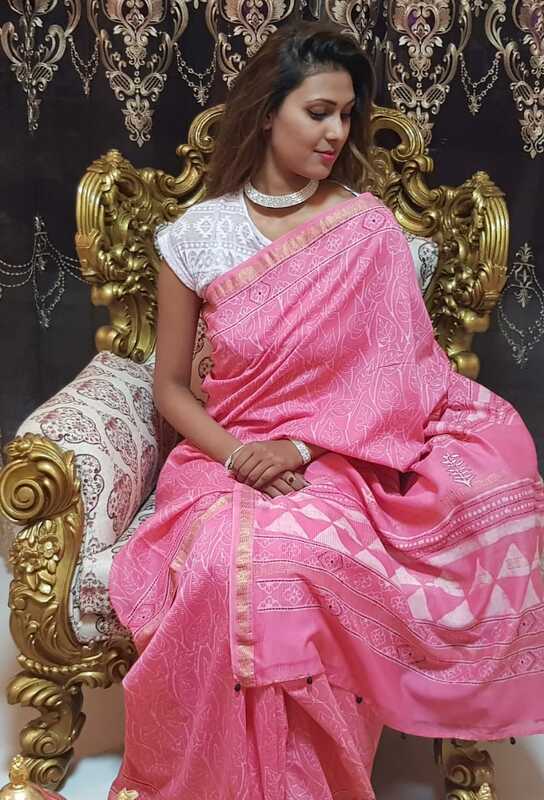 Draping a Saree is surely an art; however there are also various ways to drape it; as India is considered to be an extremely diverse country, there are various castes, communities, religions, faiths that people follow. With each community a Saree draping style was derived, Indian women could be easily distinguished on the way they draped their sarees. Popular ways to draping a Saree includes Marathi, Gujarati, Rajputi, Punjabi, Dhoti, Lehenga, Bengali, Banarasi, Mumtaz, and many others. A Saree can be adorned in a celebration occasion as well as at home, nowadays unique Sarees created by hand are tough to find. But the City of Lakes: Udaipur contains a gem store named Udaipur Haat that exhibits all kinds of handmade sarees. Why to Buy a Saree from Udaipur Haat? If you believe in carrying only the unique Sarees that nobody else owns, well get a handmade Saree from Udaipur Haat specially created by the authentic traditional village Women for you. Variety of Sarees including cotton Sarees, Emrbroidered Sarees, Beaded Sarees, Banarasi Sarees, Bandhani Sarees, Chanderi Sarees, Bonkai Sarees, Silk Sarees, Leheriya Sarees, Pathani Sarees are available at Udaipur Haat. A unique line of Indo western Sarees can also be bought from Udaipur Haat, with the fusion culture; Indo-Western sarees with a combination of the Western and Indian culture are surely in in the Fashion Game. Udaipur Haat also provides you the best Indo-Western Sarees at the store. Get a pair of matching Jewellery set at the same store; Udaipur Haat is the best Jewellery shop in Udaipur with a variety of Necklaces, Pendants, Rings, Bangles, and Earrings. You could instantly get all the matching jewellery that you wish to wear with your enchanting Saree. The Helpful Staff at Udaipur Haat, make sure that you’re showcased the best options that they’ve available in their stock. Also if you do not know how to drape a Saree, just ask them to assist you, so that you could see how a Saree looks on you while a Dress trial. With all the above services provided by Udaipur Haat and the magnificent collection of Sarees it surely deserves the title of the Best Saree Shop in Udaipur. When to visit Udaipur Haat? 11:00 am to 7:00 pm Any day of the Week.